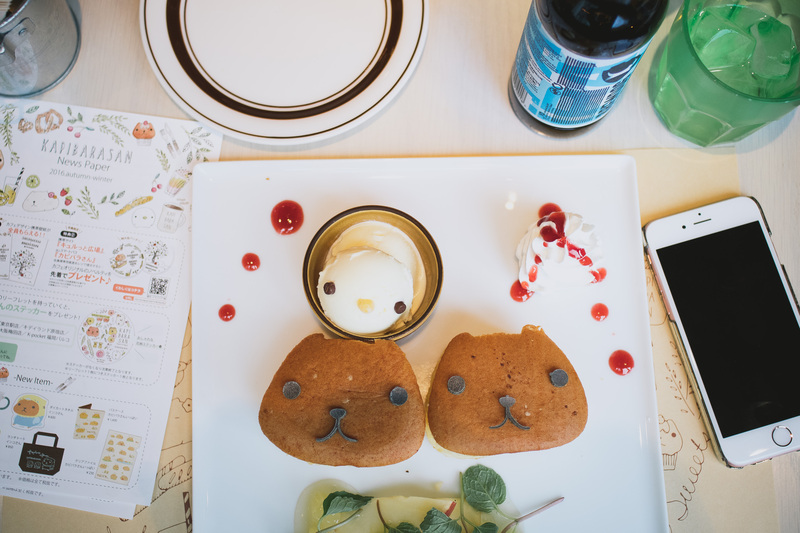 We visited a character cafe and I overdosed on CUTE! A few years back, when Mike and I first visited Japan, I feel in love with a furry little hamster character. We were shopping on Character Street, a little underground corridor in Tokyo Station that has tons of character shops: Rilakkuma, Hello Kitty, Miffy, Gudetama, and on and on. There was one store that was practically empty. That was the Kapibarasan store! The little brown and white blobs looked like hamsters to me, but they’re actually capybaras, the world’s largest rodent. I guess that kinda makes them a giant hamster. 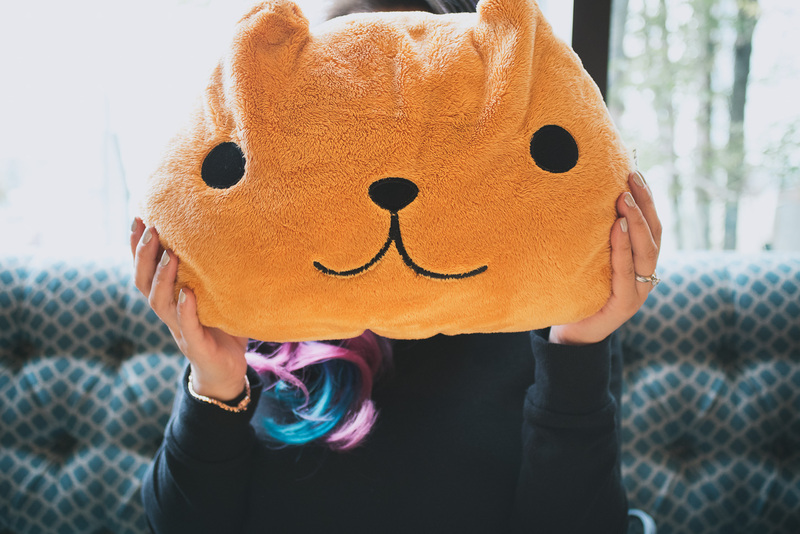 In real life they’re aren’t that cute, but the kawaii Japanese version has me all heart eyes, all the time. Anyway, ever since I fell in love with Kapibarasan, I’ve been wanting to visit a Kapibara cafe. 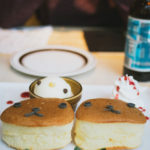 In Japan they often have popup cafes featuring characters as foodstuffs, but it’s always a question of when and where. This trip, I had pretty much given up my dream of eating Kapibara shaped food. I basically forgot about hitting up any character cafes. 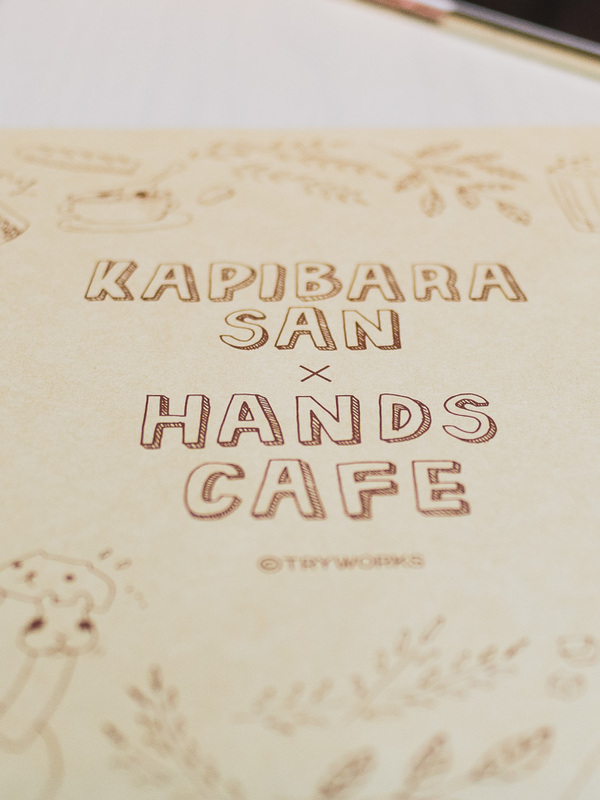 But, then, on our second day here, Mike told me that something that made my heart go pitter-patter: there was a Hands Cafe x Kapibarasan event going on!! I’m so lucky that Mike reads Rocket News religiously – we never would have made it otherwise. As soon as Mike told me about it, I wanted to head there immediately, but it was only 5:30 in the morning (jetlag) so that didn’t happen. Instead we headed out at 9, to meander our way over to Omotesando, where the cafe was. I wanted to go and line up immediately, but since Mike figured that no one would line up, we explored the backstreets and happened upon the Tokyo location of Dominque Ansel. 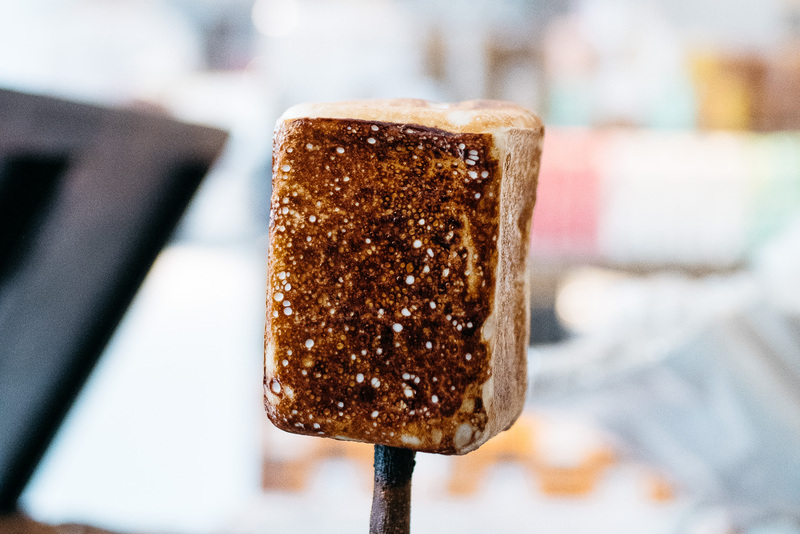 I had a frozen s’more for breakfast! When we made it to the building, we discovered that the mall didn’t open until 11. But, there was a mini line up! We joined it and soon after a massive line started building up behind us. When the doors to the mall opened, people started running, I kid you not. I think that’s when Mike realized that this was serious business. Speaking of Mike, he was one of only two guys in the entire seating. 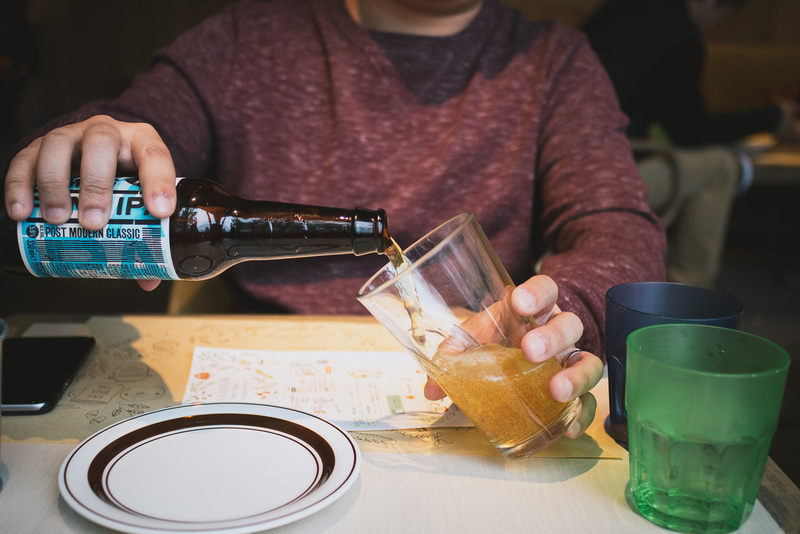 At least there was beer for him! 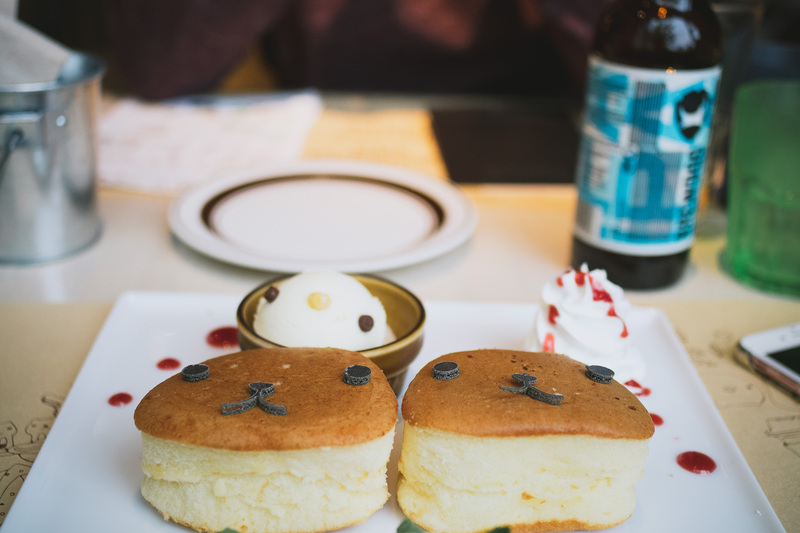 We shared the fluffy pancakes and they were as cute as I thought they would be. They weren’t the tastiest pancakes I’ve ever eaten, but all in all, my first character cafe experience was a success! 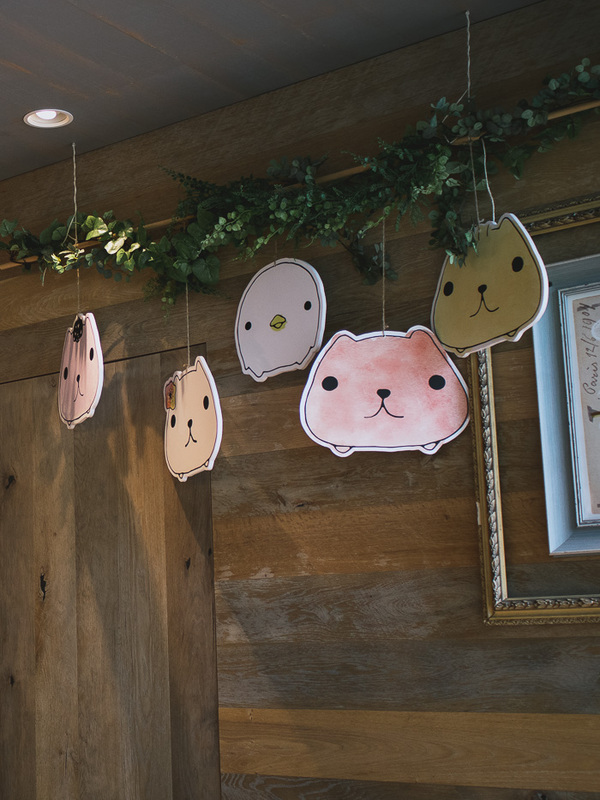 the capybara cafe is so funny to me. i grew up in brazil where we have capybaras (there were rumors there were wild mutant capybaras in the super polluted rivers that run through sao paulo) and they are DEF not super cute irl, haha. what??!!?! mutant capybara in the rivers?!?! that’s like teenage mutant capybara in the sewers!! LOL. in japan they think the real ones are cute too! they have special zoo exhibits with hot springs baths and everything! Good thing you guys jumped in line!! Yay for beer for Mike, too! Hehe. had to do it right?!?! i mean, giant hamster cafe!??!?! This is amazing. LOL Love the photos and the uniqueness!